John Gosden's leading three year old on the flat this season, Too Darn Hot has hit a minor setback and will miss the Greenham Stakes at Newbury this weekend. The son of Dubawi will mis the Group Three clash that was supposed to be a perfect prep run for the youngster before he lead the field in the betting market for the 2,000 Guineas at Newmarket at the start of May. 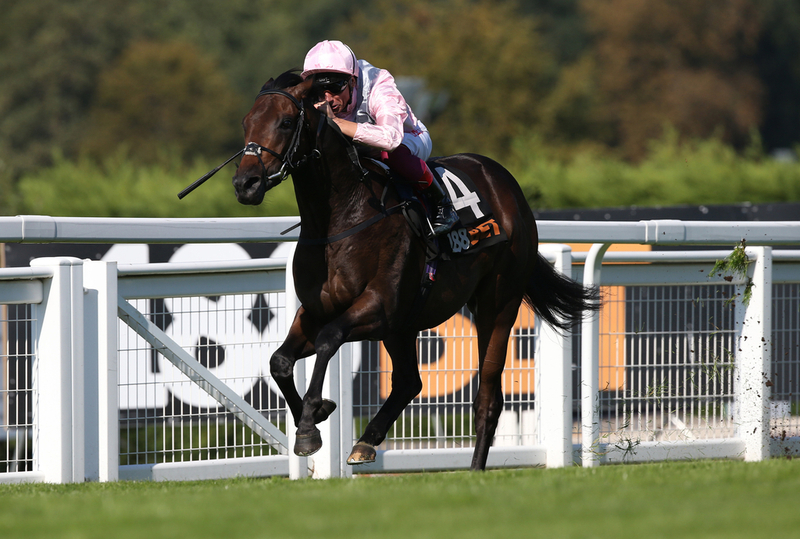 His trainer John Gosden: "Too Darn Hot breezed comfortably this morning under Frankie Dettori on the Al Bahathri but tonight at evening stables he was found to have some heat in his splint bone. "Unfortunately he'll have to miss Newbury as he'll have a few easy days. The plan is to take him straight to the Qipco 2,000 Guineas." The three year old would have been looking to extend his unbeaten record to five wins after four super performances last year that really put the Andrew Lloyd Webber owned colt on the big stage. On his second start to date he went on to land Grade 3 Solario Stakes and impressively went on to land the race with ease and put his name on the map. Next it was Doncaster for the Group 2 Champagne Stakes at Doncaster where again he won easy enough to then set up his first Grade 1 contest. It came in the Dewhurst stakes, where he went on to beat some of the best young seven furlong running horses in Europe and set up his a very exciting three year old season. The three year old colt is still the hot favourite for the 2,000 Guineas but after pulling out of Saturday's trip to Newbury he has now drifted slightly in the market to 11/10. The second favourites for the Guineas is the Aidan O'Brien Ten Sovereigns who has been nudged in to 6/1, where as another of the Ballydoyle recruits Magna Grecia is just behind him in 8/1. This weekend the Greenham Stakes has now been blown right open with Too Darn Hot sitting as the heavy market leader at 1/3 but with his removal the new favourite is s the Richard Hannon-trained Boitron, winner of both his previous starts at the Berkshire course and is a current 5/2 to take the spoils.